What are women telling us about giving birth in British Columbia? Women whose care providers deliver emotional support, communicate clearly, listen to women and respect women’s right to make decisions about their own care tend to evaluate their experiences as positive, transition into parenthood more easily and are less likely to report depression, anxiety and posttraumatic stress after birth, compared to women who report disrespectful care. 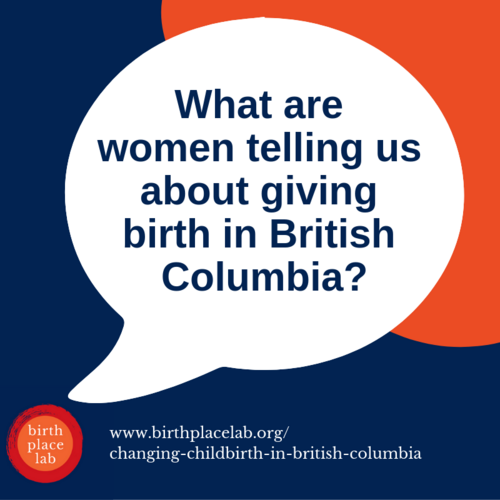 Learn more in the recent report, Changing Childbirth in British Columbia.